well you've landed on the coolest and best site for everything to do with wood and a hands on approach to learning - and fun! Too much time is spent wondering whether or not you are able to do something, have the time to do it or have just always wanted to do it. So don't put off, find an excuse, swither or dither .... read on ! Sign up for one of our renowned day or weekend courses. These events are for ordinary folk wanting to get the extraordinary out from within themselves. and want to know how to get the best out of their landscape and natural resource that surrounds us all. Ask about our group sessions or community product development and training days. 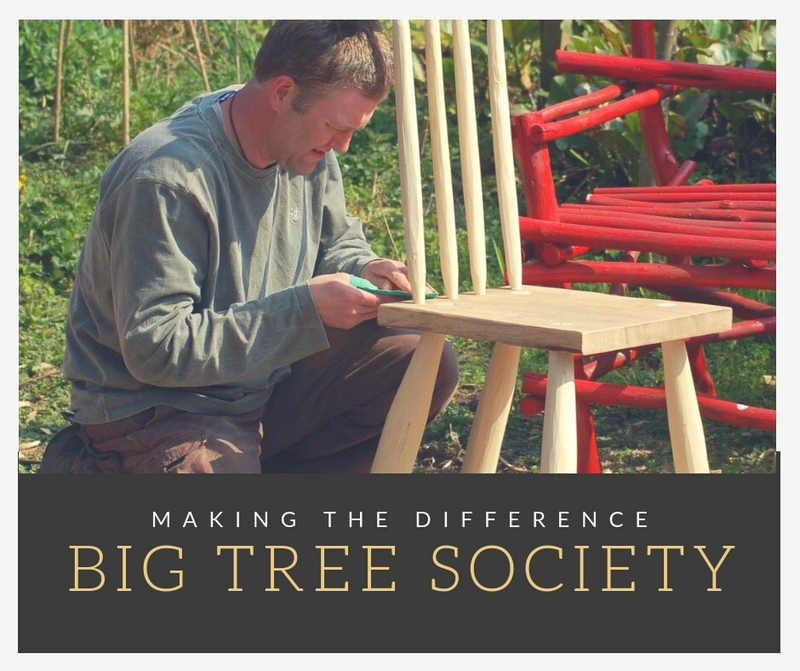 the big tree society is all about green morality, total respect for what and who surrounds us, a thirst for learning and a genuine desire to pass on to others - so that they can pass on to their others !!
" Did the stool making course. Fantastic day. You learn everything from where the wood comes from, cutting up the log through to the finished product. Great instruction, Eoin and Gail were really helpful all the way through but let you get on with it as well, I wish I had their energy ! A very worthwhile and fun day. "